We had another fun day in Tokyo. At Shinjuku Isetan Department Store, which is my favorite department store in the entire world, we had a special appointment with their food concierge on their famous gourmet floor. 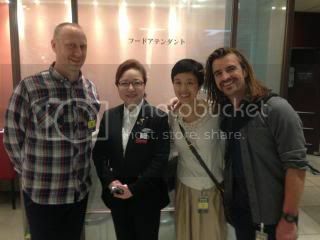 We met the chief concierge, Nakazawa-san, and she gave us a 3-hour VIP tour. 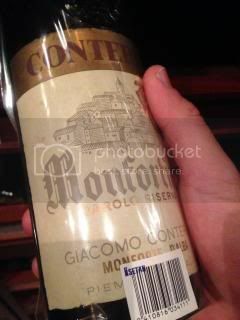 Starting from the special wine cellar, we visited from one shop to another and learned so much about these vendors and their products. On this one floor, there are constantly about 150 gourmet vendors at Isetan. 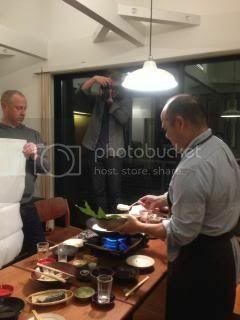 We were also constantly impressed by the level of knowledge and "omotenashi" (hospitality) spirit of Nakazawa-san. 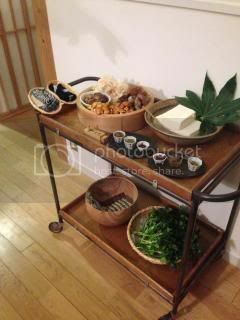 Isetan is the best! 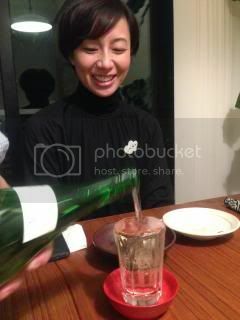 In the evening, we were invited to dinner at Akiyo-san's (Nagatani-en's 8th generation daughter and Isako's older sister) house. We got reunited with Isako-san there, too. 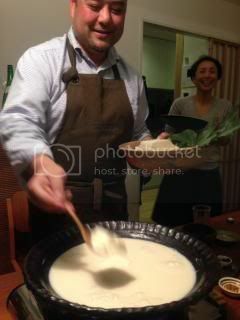 Akiyo-san's husband, Sakurai-san, cooked the entire dinner for us, just like the last time I visited them! 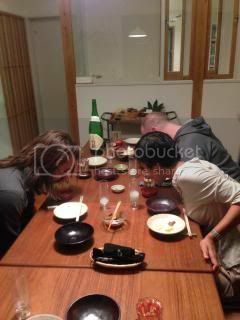 We started with welcome sake. 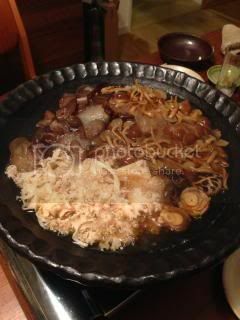 He made multi-course dinner including 3 donabe courses made in the same donabe! 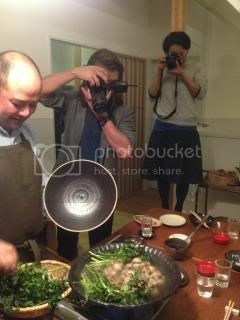 And, of course, Eric went crazy over those beautiful donabe dishes and the whole meal turned into a big photoshoot! 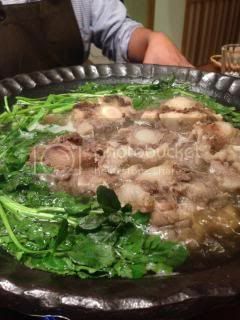 The donabe oxtail hot pot with watercress was phenomenal. 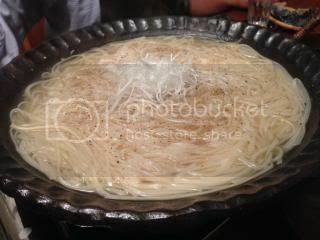 The "shime" (ending) course was Inaniwa udon noodles, cooked in the same broth. I was in heaven. They are among the sweetest people I know and I am so lucky to be friends with them…we are like a family.